We have only been on Summer break for about 2 weeks now, and I am already tired! Between the kiddos, school (I don’t get a summer break) and working full time from home, the last thing on my mind is dinner. Plus, with temperatures reaching 100+ degrees each day, the oven is my mortal enemy right now. So, to keep the family happy and fed, it was time to spice up some of my favorite meals. I LOVE salads, the fresh veggies the crisp greens…so yum! Nothing is more perfect for dinner. But, if I fed the family a plate full of leaves, I am pretty sure they would riot. 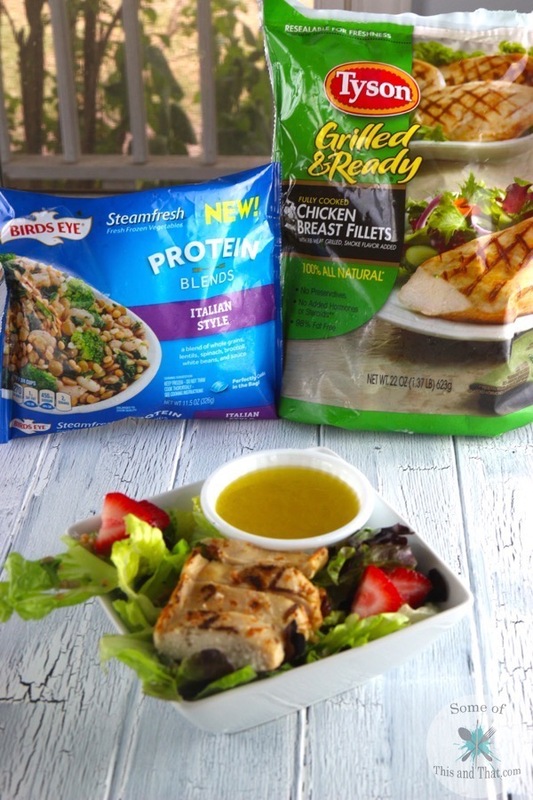 That is why I am loving the Birds Eye Steamfresh® Protein Blends and the Tyson® Grilled & Ready® Chicken Breast Fillets! These two items can be a meal just on their own. Pop them in the microwave and serve them up and be done with it. 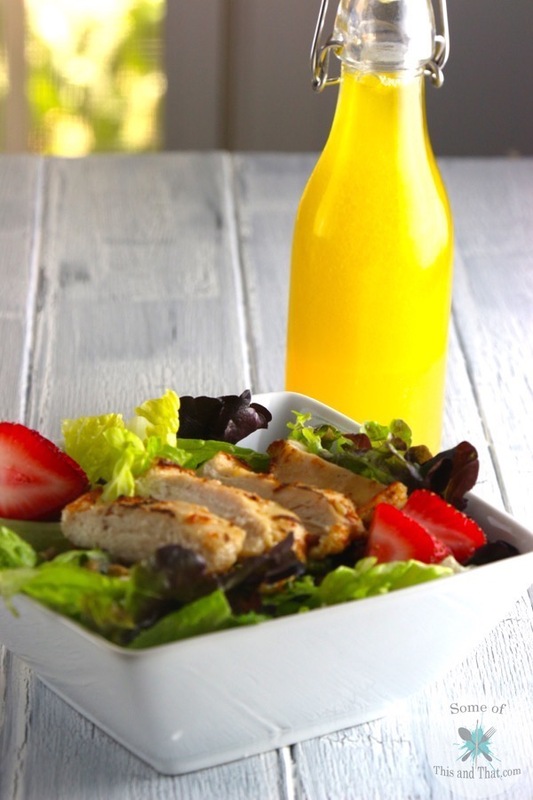 To liven up an already yummy summer salad I decided to make Citrus Honey Vinaigrette to go along with it. 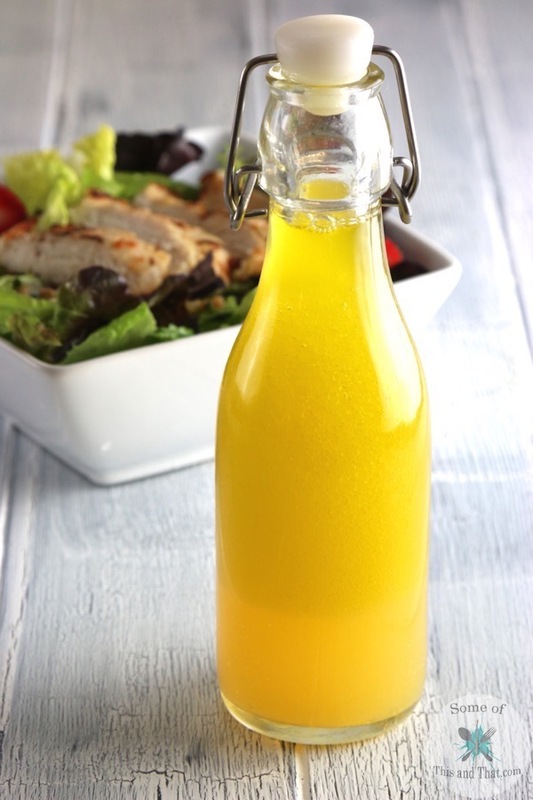 The vinaigrette takes just a few minutes to make and gives the meal a little bit of zing that is perfect for summer! 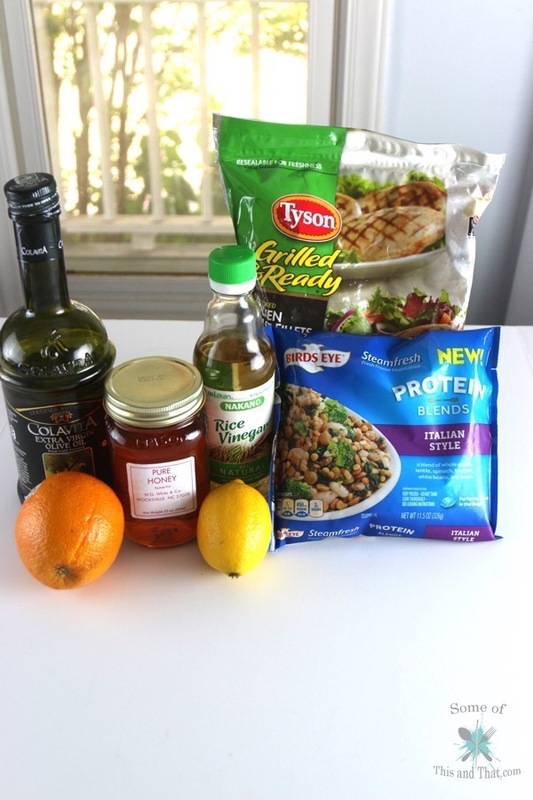 You only need some basic ingredients to whip this up, and you most likely have everything on hand already! 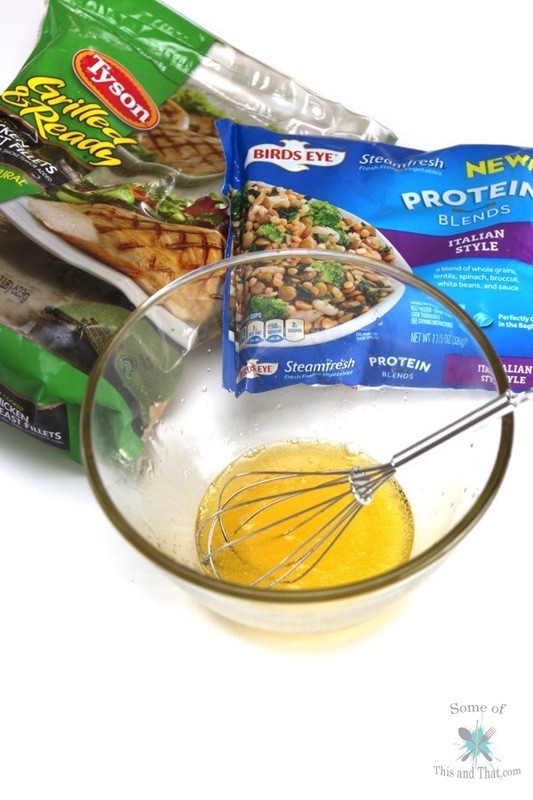 Just pour all of your ingredients into a bowl and whisk until combined! Easy Peasy! 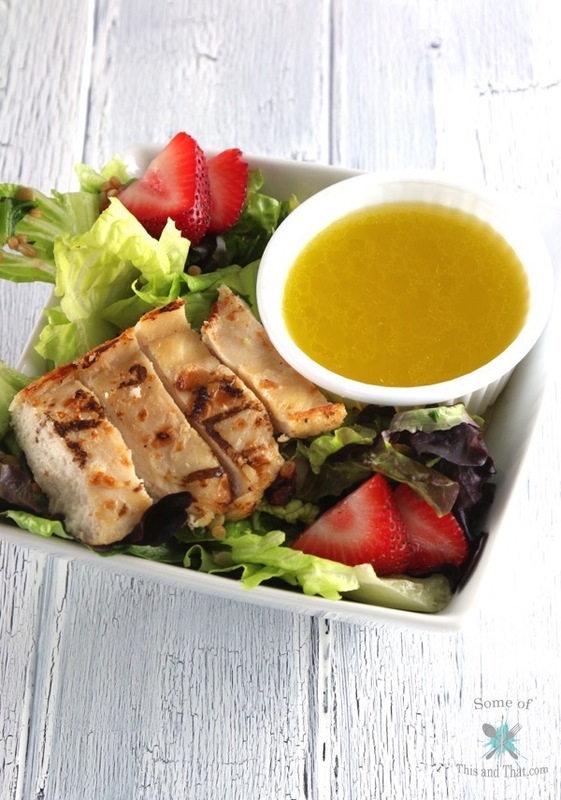 To serve, I just laid down a bed of my favorite salad greens, heated up some the Italian Style Birds Eye Steamfresh® Protein Blends and few Tyson® Grilled & Ready® Chicken Breast Fillets in the microwave and served it together in a bowl. And, of course, I added a few fresh strawberries to give it a little sweetness. This has become my go to salad for the summer. The Tyson Chicken is 100% all natural and made with all white meat, and the Birds Eye Veggies give the meal an extra boost of protein, so everyone is happy! 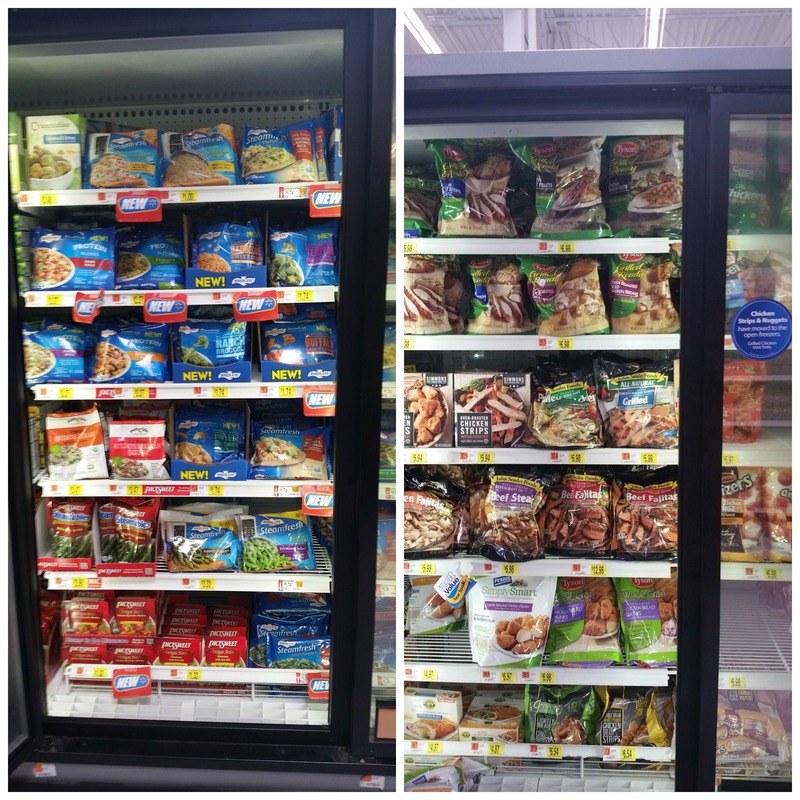 One thing that I love about this meal is that I can find everything that I need right in the frozen food aisle of my local Walmart. 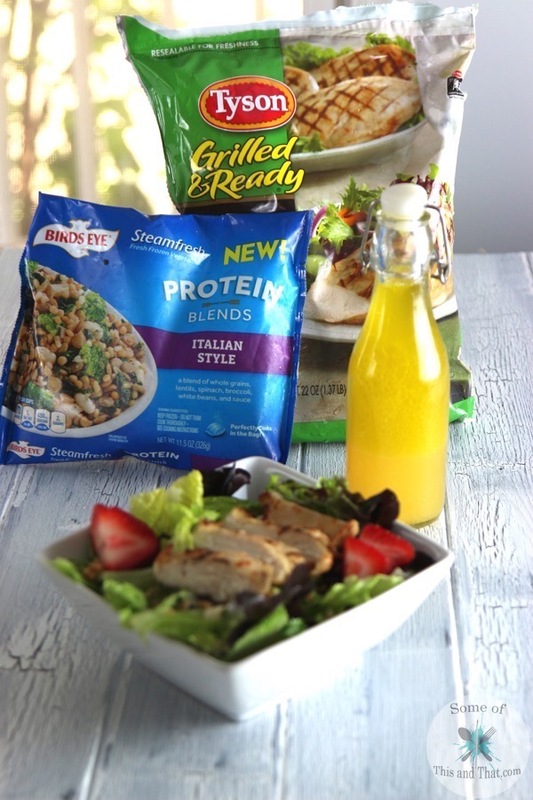 And, with the different options of Birds Eye Steamfresh® Protein Blends, I can change it up a bit too! What is your favorite Summer time meal?